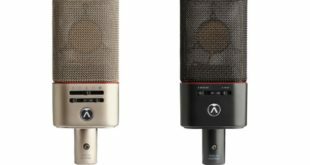 Jamie Wellwarth, production manager and lead engineer at Austin’s Nomad Sound, is currently utilising an arsenal of Telefunken microphones for his roadwork. With clients such as Jane’s Addiction, Social Distortion, and Fitz and The Tantrums, Wellwarth tours tirelessly nationwide. Back at his home base in Texas, he is also production manager and FOH engineer at the Continental Club, which is celebrating over 60 years as one the oldest continuously running clubs in Austin. "Every time I go out on a Nomad tour I grab our Telefunken mic kit," said Wellwarth. 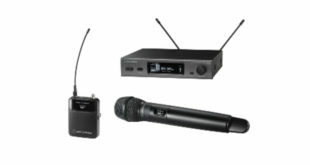 "We take pride in our company and aim to present great sound for the performers and fans alike. We use Telefunken microphones for their clarity and constant fidelity." 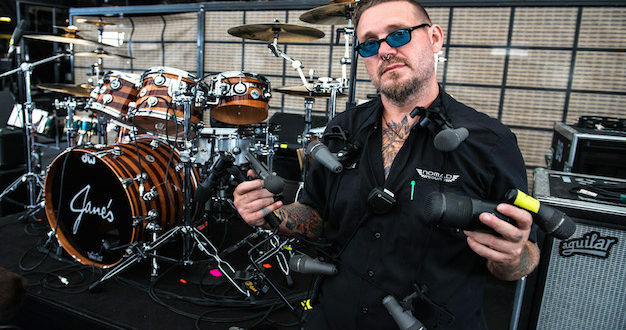 Speaking about drums, Wellwarth continued, "Telefunken’s dynamic mics cut through my mix like no other mic. For Jane’s Addiction drummer Steven Perkins’ kick drum, I no longer have to use two mics, because the M82 gives me all the attack and thump that I need. 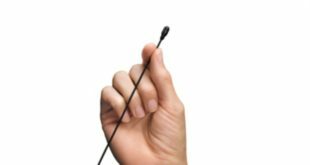 “The short M80-SH is the best snare drum mic out there – with just a little high pass filter, I leave it flat and it gives me all the snap and thwap I need for a phat snare drum sound. And the M60 FETs are amazingly clear and clean for my hi-hats and overheads. Thanks to Telefunken, the drums sit comfortably in the mix with a powerful presence." Wellwarth employs Telefunken’s M80 dynamic mics for vocals as well. "It’s my go to vocal mic for Fitz and the Tantrums, Mike Ness of Social Distortion, Dug Pinnick of Kings X, Jimmie Vaughan, Charlie Sexton, Matthew Houck of Phosphorescent, and a host of others,” he explained. Wellwarth is a Telefunken stalwart at Austin’s Continental Club. 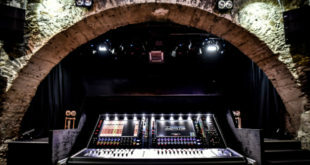 "I use M80s and M81s every night of the week at the club for vocals. You can count on these mics to sound consistently great and as a result I am converting artists all the time when they sing on our mics,” he remarked. “We are really proud to have Telefunken partner up with us at the Continental Club. We use their mics on everything."